Visit the Simon Pearce Flagship Store and Restaurant! « Get Out and About On a Vermont Covered Bridges Driving Tour! Simon Pearce’s flagship store in Quechee, VT boasts a magical setting. The restored mill overlooking the Quechee Covered Bridge from the Ottauquechee River falls offers a showroom, glassblowing demonstrations, and a renowned bar and restaurant. In our last post, we detailed a driving tour of covered bridges near our Woodstock area B&B. In the post, we mentioned visiting The Mill at Simon Pearce, which is directly adjacent to the Quechee Covered Bridge. Now, you’re likely familiar Simon Pearce stores. They dot the east coast with offerings of stylish glassware and home decor, all handcrafted by American artisans. If not, Simon Pearce is an Irish-American artisan and entrepreneur who learned his trade in Kilkenny, Ireland. After running a highly successful glass business in Ireland, he relocated to the United States in the late 1970’s and established the Simon Pearce company. While Simon Pearce has seven other locations up and down the east coast, their first factory opened right here, in Quechee in 1981. The location has since evolved into a showroom and popular, scenic restaurant destination attracting tourists and locals alike. And no wonder! The river, falls, and covered bridge are incredibly picturesque and would attract attention by themselves. The Quechee Simon Pearce is housed in a restored, 19th-century mill, hydroelectrically powered by the Ottauquechee River. Travel and Leisure magazine voted The Mill one of “America’s Most Romantic Restaurants” and they also received a “Best of Award of Excellence” from Wine Spectator. The restaurant is known for using fresh, local ingredients in creative American cuisine. Dining at The Mill can be a wonderful experience. Your meal and drinks are even served on handcrafted Simon Pearce glassware and pottery. This latter detail is made even more fascinating if you’re able to catch a glassblowing demonstration at the on-site workshop prior to your meal. If you’ve never seen anyone blowing glass before – or even if you have! 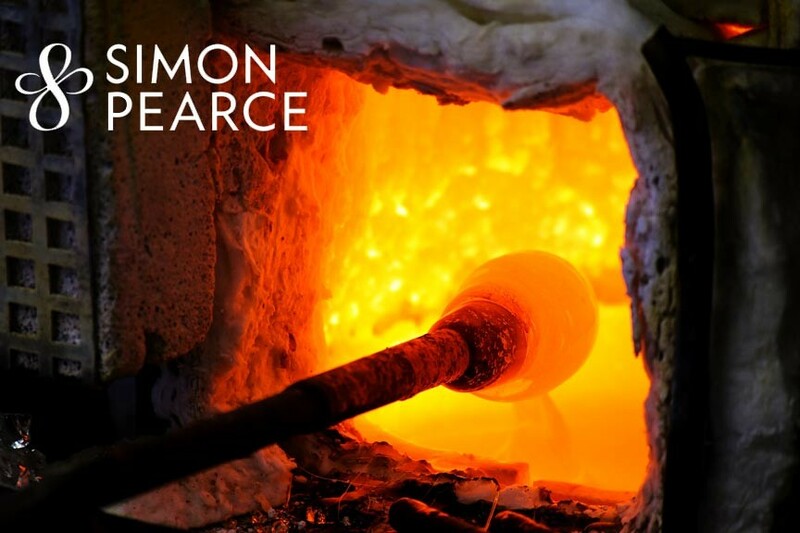 – watching the incredibly talented artisans at Simon Pearce will really open your eyes. Visit Simon Peare online at their website to learn more or make a reservation. The Mill at Simon Pearce is just 20 minutes up the road from our Woodstock B&B. Our stylish, 1820’s farmhouse inn offers distinctive yet casual Vermont lodging. We pride ourselves in providing an unobtrusive, at-home feeling and our four guest rooms and suites will have you feeling like royalty. Book your stay At Deer Brook Inn today!